In December 2009, FoSJP volunteer Margaret Osmond, supported by FoSJP committee members, recorded the last park warden, Norman Burnett, in the grounds and interior of the Park building. Norman recorded his memories of working in the Park and explained what used to be there during the 1980s. Arthur House was also recorded talking about favourite places and the loss of his treasured bench to vandalism and deterioration. Clips from both Norman’s and Arthur’s interviews were used during the public history talks. In anticipation of the changes that took place within the Park during the restoration and improvements project, FoSJP volunteers Helen Hazelwood and Lindsay Lee photographed the Park on a weekly basis between March 2010 and July 2011, in order to provide a record of the Park before and after its transformation. 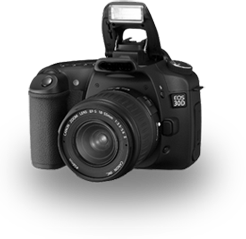 We hope to use this material creatively in the future. We’ve been developing a history display that can be shown at the Park and other local events. In 2010, this was taken to the Shirley Infant and Junior Schools Summer Fete in June, and to the Bourne Avenue Residents’ Street Party in July. 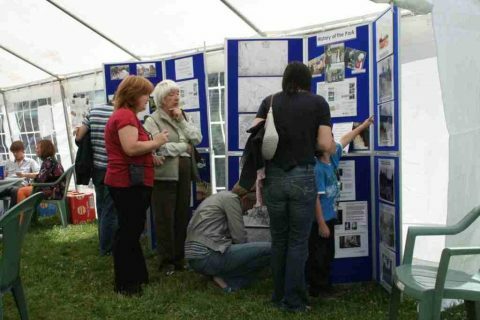 In 2011, it was taken to the Southampton History Fair at Townhill Park House in April and the Foyes Corner Festival in May, and was present at FoSJP’s Play in the Park! event in July. In July 2014, Madge Heath and Lindsay Ford took the history display once more to the Bourne Avenue Residents’ Street Party, along with bombing maps, an early picture of Bourne Avenue from the Peter Wardall Collection, and street directory entries for the 20th Century so that residents could trace who had lived in their houses. In December 2015, we took the history display to the St James Road Methodist Church‘s Music & Christmas Tree Festival. In February 2012, we gave a presentation to the Shirley Women’s Institute, sharing photographs, maps, and a visual presentation of the history of St.James’ Park including people’s memories of the Park and before, during, and after photographs of the Park Building as it was transformed into a new Café. In November 2012, at the Nursling and Rownhams History Group, we gave a talk entitled “The History and Restoration of St.James’ Park in Shirley”, which included how the Park’s history has influenced aspects of its recent programme of restoration and improvements financed by the Heritage Lottery Fund. On 14th February 2013, at the Lordshill and Lordswood Historical Society, we gave a talk entitled “The History of St.James’ Park”, which traced the origins of the land that we now know as the Park, referenced through almost 1000 years of history. Since it was Valentine’s Day, a local park love story was also shared. In April 2013, FoSJP History Research Group member Madge Heath gave a presentation to the Millbrook Local History Society on the life of Andrew Barlow of the Barlow and Ellyett Homes which are in Church Street, Shirley. Later that month we gave a talk and a “Shirley and its Environs Then and Now” slide presentation at a new Lunch and Laughs club for senior citizens in Bassett Green Village, Southampton. In May 2013, Madge Heath repeated her presentation on the life of Andrew Barlow of the Barlow and Ellyett Homes, this time to the Lordshill and Lordswood Historical Society. 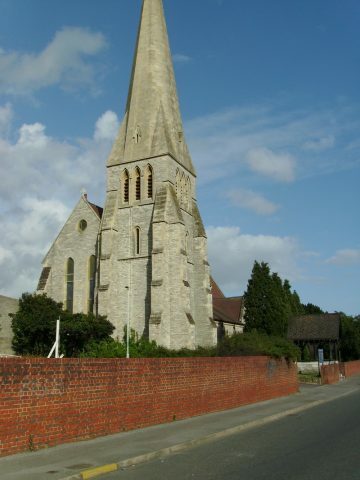 In February 2015, following on from the Autumn 2014 series of Public History Talks, Madge Heathpresented “Oatlands House – the Early Days” to the Lordshill and Lordswood Historical Society, and in May 2015 she presented “Andrew Barlow, Brewer and Benefactor” to the St.James’ Road Methodist Church Women’s Wednesday Group. In May 2015, Michaela Lawler‑Levene was the guest speaker at the Shirley St.James Women’s Institute, where she presented the St.James’ Park History book with a slide show and talk. In May 2013, we held an educational workshop, based on our Oral History project, at the Learn 2 Love Learning Club at the ParkLife Community Room at St.James’ Park. One of our more senior FoSJP members joined us to share his memories and photos of the Park. Later that month we hosted another educational workshop in the ParkLife Community Room atSt.James’ Park for a group of children and toddlers. 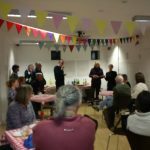 If you’d like to invite the Shirley Local History Group to your event, please contact the team on history@fosjp.org.uk. In June 2010, FoSJP organised an historically-themed guided family walk, starting at St.James’ Park and walking along Lordsdale Greenway to Shirley Pond. In July 2012, together with the Tudor Revels Project, FoSJP organised a Medicinal and Edible Plants Walkin St.James’ Park, looking at the wildflowers planted there and how they might have been used for medicine and food in times gone by. Look out for more such Walks and Talks, where researchers share their findings and you can help keep fit and healthy at the same time! Plays have been written, based on the Park’s history, and performed in and around the Park. We hope that our research into the fascinating lives in and around the Park will inspire more creativity. We’re very keen that different generations get to know each other better through this project. We particularly value the experience of our older members, and seek to provide opportunities for their contributions to be shared with younger generations. Starting in October 2011 and running through to July 2012, FoSJP organised a series of craft and sewing classes for all abilities, held in the ParkLife Community Room at St.James’ Park, with the aim of passing on skills and memories from older to younger generations. The first edition of the Shirley Heritage Project Newsletter, keeping everyone informed, was sent out to FoSJP and FoSJP History Research Group members in March 2010, followed by further editions in October 2010, April 2011, April and October 2012, April and October 2013, April and October 2014, and April and October 2015. Southampton hosted several Tudor‑themed events throughout 2012 in celebration of the re‑opening of the Tudor House and Garden. 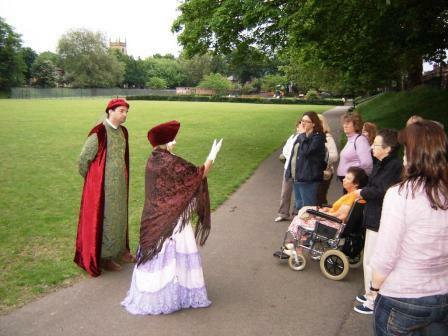 Through the Tudor Revels Project, which was funded by the Heritage Lottery Fund, FoSJP linked St.James’ Park to its earlier history, as during Tudor times it would have been common land – Shirley Common in fact. Shirley Common went beyond Winchester Road and bordered Southampton Common at Hill Lane. FoSJP helped organise a Tudor Costume Workshop at the ParkLife Community Room in September 2012, to help prepare costumes for those who took part in the Tudor Procession which was part of the Tudor Revels Michaelmas Fair on the weekend of Saturday 29th and Sunday 30th September. In February 2014, the FoSJP History Research Group marked St.James’ Park‘s 1907 Edwardian origins with a “pop‑up” Edwardian Photography Studio. Among the many names recorded on gravestones and plaques in St.James’ Church and graveyard are those of four men who died during World War I. Both Frank Burt and Cecil Thomas have war graves in France. Fred Orpet is remembered on the Portsmouth Naval Memorial. His brother William, who died on the S.S. Titanic, is also recorded with him on their parents’ gravestone.